In 2018, the overall operating rate of domestic yellow phosphorus industry remained at a low level, and the yellow phosphorus market kept in tight supply. Moreover, the intensified environmental protection supervision in 2018 exerted some influence on the production and sales of domestic yellow phosphorus. Since domestic yellow phosphorus enterprises resumed production slowly in high-flow period in 2018, the price of yellow phosphorus maintained a high level. In August, with the decreased production costs in Yunnan, the local yellow phosphorus enterprises resumed production intensively, leading to a nationwide lowest price level. As an energy-intensive industry, the production costs of yellow phosphorus will dominate the market price trend in the future. As an industry with high pollution and energy consumption, the yellow phosphorus industry faced with a brand-new adjustment in 2018. As a major phosphorus producing country, China had already possessed the fundamental conditions for phosphorus chemical industry in terms of industrial agglomeration, intensification and refinement. For yellow phosphorus industry, industrial agglomeration, intensification, refinement and greening will be the trend of sustainable and healthy development in the future. Therefore, this report could help customers understand what changes the domestic yellow phosphorus market had experienced and what changes had occurred in the market pattern in 2018 as well as the forecast of development in the future. From 2011 to 2018, SCI, together with the market participants, has seen 8-year various changes in yellow phosphorus industry. Meanwhile, SCI maintains comprehensive communication with enterprises and accumulates the most real and effective data of capacity, inventory, profit etc. This report analyzes the yellow phosphorus market through in-depth investigation and gives objective and accurate judgements towards the future market trend. Moreover, the report has offered the most valuable industrial analysis to market participants and thus earned high praise from a majority of customers. 1. This report has been upgraded comprehensively through researches and collection of customer requirements and concerns. The newly added exclusive data includes the downstream consumption structure analysis of yellow phosphorus by industry and region, the storage and logistics transportation trend analysis in main production regions, the customer base statistics in downstream industries and the consumption comparison in the peak season and off season, to provide more comprehensive, accurate and professional information for market participants. 2. 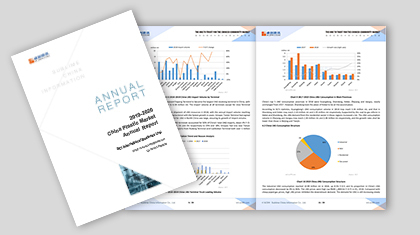 This report presents the interpretation of China’s national and industrial policies by region and the multi-dimension analysis of changes in downstream consumption of yellow phosphorus from supply-demand balance, regional competition relationship and product value chain. It aims to help industrial and non-industrial customers grasp the future development trend of the phosphorus chemical industry to avoid business or investment risks.